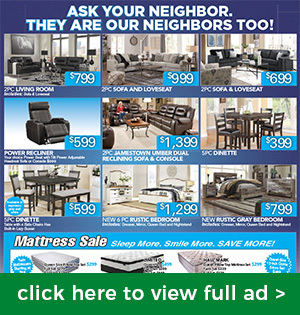 When your home’s decor looks tired or you need to replace or upgrade a piece of furniture, since 1983 Crown Mark furniture’s versatile, eclectic selections for every room have pleased households like yours in Hampton Roads and beyond. Our customers give us positive feedback all the time about this nationally loved brand, which is also eminently affordable. 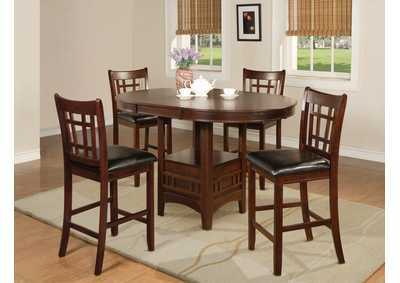 Need classic dining room furniture for your next big gathering? Crown Mark’s on it. A new kids’ room furniture set now that your little one is growing fast? Got it. 21st-century home office furniture for your new lifestyle working from home? You’re covered. 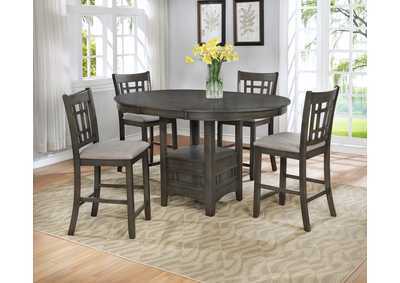 Liven up the party with the fresh looks afforded by awesome Crown Mark living room furniture! Just about everybody wants a coffee table, so this brand delivers with tops ranging from tempered glass to traditional wood to Ferrara marble. One of our personal favorites, however, is Crown Mark’s faux-leather adjustable sofa, nearly 6 feet long, poised on metal legs set at sassy angles in front. Crown Mark bedroom furniture includes looks that both relax and inspire. 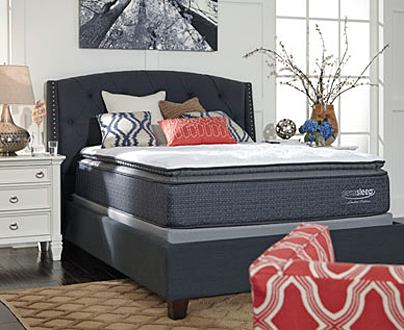 For example, our customer-favorite platform bed is available in both queen and king sizes and sports a magnificent high upholstered headboard featuring button tufting and a dignified gray fabric. Available accompanying pieces for this bed such as the nightstand and dresser are just as breathtaking. You put a lot of thought into your TV set, cable or satellite service, video games, and seating for your media room. So your entertainment furniture should be only the best. Crown Mark furniture presents you with ways to hold your set, other equipment, and media storage beautifully. One of our hottest-selling midsize TV stands comes in two sizes, the greater spanning more than 5 feet across. Both sport a deep espresso brown finish on shelves and cabinet doors. Your new TV stand can also have a distinguished gray faux marble top! If you desire something more subdued and modern, a popular Crown Mark TV stand consists of three tempered-glass shelves on a matte metal frame. So when your home needs an affordable makeover or update, count on our Yorktown, VA store and its vast collection of Crown Mark furniture to make the magic happen!